I feel like the next installment of this cream tea series is a little overdue, sorry! 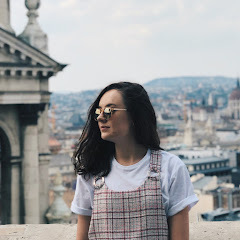 I genuinely haven't had time to go for a cream tea recently, but, rest assured, after this post there's another on its way in the next few weeks too. I've received lots of suggestions of places to visit, and I can't wait to get to them all, but if you have any more then do send them my way. There's no such thing as too much research, right? Today's location is Indulge Yourself in Christchurch. Now, I'm going to be honest, it really does look a little naff on the outside. The name isn't anywhere on the sign and the colours of the branding really aren't that inviting, in my opinion. Nonetheless, we wandered in and the inside was so much nicer than its exterior! A bit of a hidden gem one might say. It's cash only but there are cashpoints on the opposite side of the road, so it's not too much of an issue! The scone (yep, this cream tea only comes with one and is the first in this series to offer such) was pretty tasty! It definitely wasn't the best one I've ever had but it was good! A good size portion was provided, 10/10. It did come in this little paper cup, however, which was a bit of a pain as it sort of disintegrated as time went on and made it hard to get the cream out of it. Let's not talk about the rubbish, lol. The standard cream tea - a scone, jam, clotted cream and a pot of tea - is £4.95 which is very reasonable indeed. The interior was all white, with wooden tables and white chairs. There were lots of handmade cards for sale as well as other cutesy homeware bits too. It's definitely not the prettiest of places I've been to but it was still really nice! 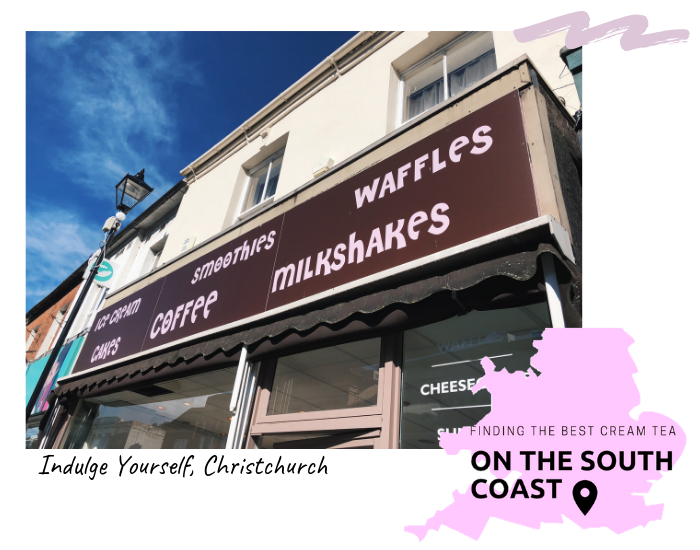 Indulge Yourself is right in the middle of the high street in Christchurch, so very handy if you're having a wander of the town! Oh my goodness, I adore cream tea, it is dreamy!